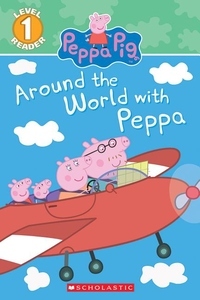 Peppa Pig's friends are traveling all around the world, and Peppa is going to visit them! Join Peppa, George, Mummy Pig, and Daddy Pig as they fly an airplane to the jungle, the mountains, the desert, and even to the South Pole to see Suzy Sheep and the penguins! This Level 1 reader is perfect for beginning readers.